Finally closing the deal on a new house is often euphoric. After running through all the hoops, covering your tracks and tying up all the loose ends associated with buying a new home, having everything finalized is an enormous weight off your shoulders. Simultaneously, the excitement of relocating to a new environment comes flooding in. These two factors are what precipitate the euphoria. Shortly after, a third factor comes into play and hits you like a wall; the task of moving. Moving is regarded as one of the most stressful tasks a person can experience. That’s quite the departure from the euphoric buzz that’s now wearing off. However, like anything life, there exists a duality; nothing is all peaches and cream. Jewelry isn’t something you need handy for unpacking purposes, however, it’s still not something you want out of sight on the moving truck, for obvious reasons. The good thing is, jewelry is compact and can be easily transported in your car. Valuables you shouldn’t pack include cash, important documentation, personal identification, stocks, bonds, and securities. You never know when you’re going to get to your kitchen wares unpacked, odds are you’ll be ordering in the first few days while you’re getting organized. Make sure you have your disposable plates, cups, and cutlery handy so that you can nourish yourselves in the interim. Having tools handy is vital for the first tasks you’ll be performing in your new home on moving day, namely, re-assembling furniture and minor repairs. Make sure you include your utility knife, you’re going to need it immediately for opening boxes and other various tasks. 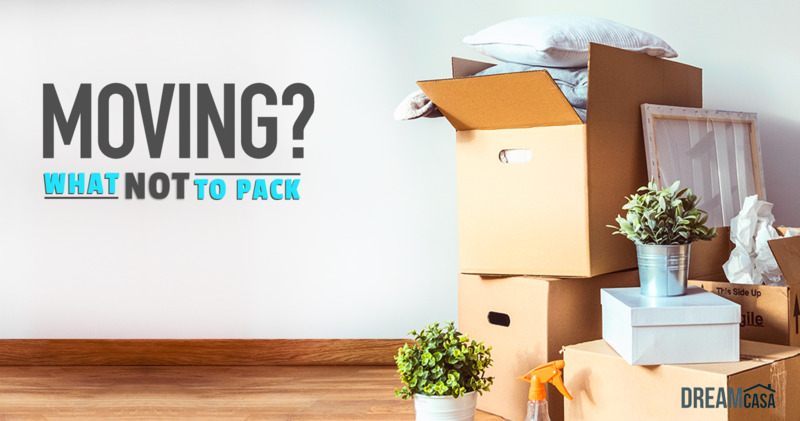 No matter how clean your new house is prior to the move, a bunch of movers stomping through your home and all the garbage associated with unpacking is going to mean regular cleaning and decluttering. Don’t forget a broom or vacuum, multi-surface cleaner and plenty of paper towels, these are the essential items you will need. You can eat take-out, your pet can’t. Make sure you have pet food, bowls, a pet bed and any necessary medication or supplements handy. Moving is extremely chaotic for pets too, we at least have the benefit of knowing what’s going on.